The digital revolution and human psychology are forcing organisations and leaders to reevaluate the way they communicate and challenge traditional ways of influencing opinions, according to a new guide published today by MHP and experts from the Affective Brain Lab, part of University College London (UCL). In this Networked Age, where clusters of like-minded people share and debate information, and where audiences have become more polarised and tribal, businesses and brands need to understand better what motivates people’s thinking and how they must adapt their communications to get their messages across, says The guide to the Networked Age. 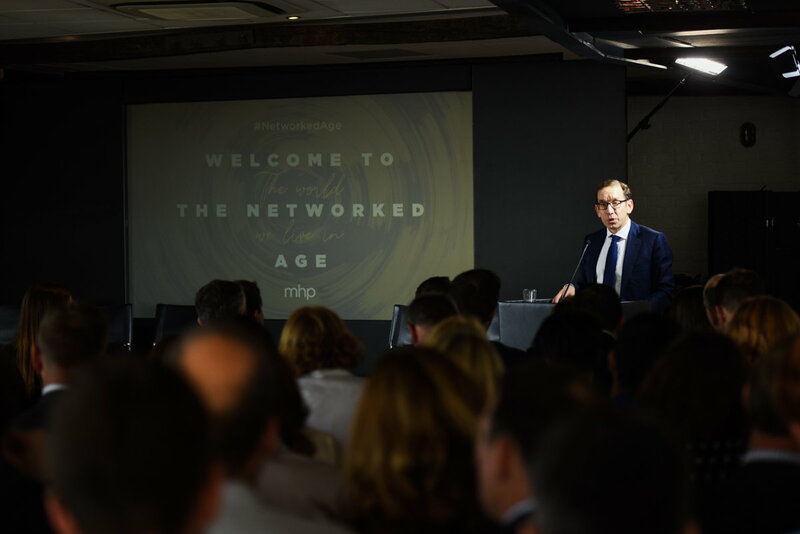 MHP Deputy CEO Nick Barron collaborated with the Affective Brain Lab at UCL to draw up the three new rules of The Networked Age. 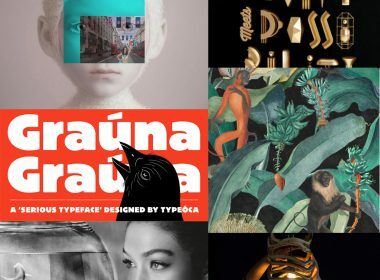 He explains to MHP’s Head of Health Communications Kate Pogson how unexpected events like the EU referendum and the election of Donald Trump led him to think why communicators were failing to connect with their audiences. 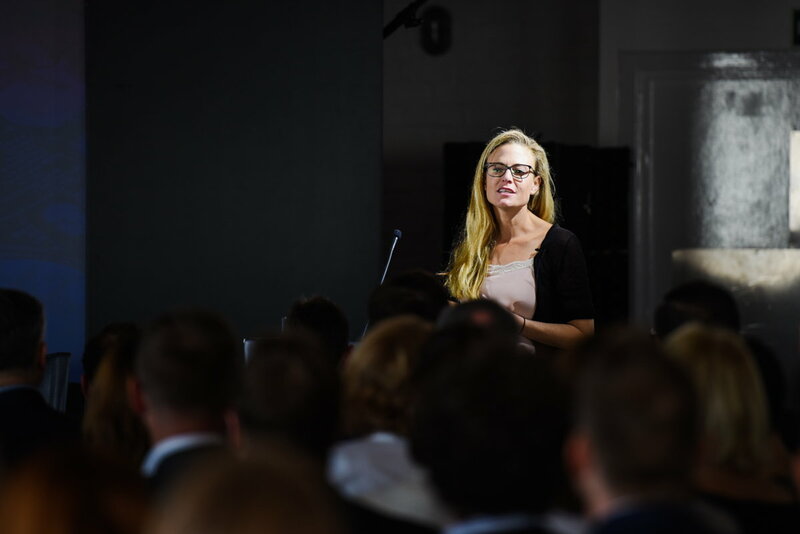 Leading communications firm MHP partnered with Dr Tali Sharot and her team at the Affective Brain Lab, the behavior change team at UCL, to codify the psychological principles that should inform effective communications campaigns. Together they have developed an analysis of how digital technology and human psychology are changing the rules of engagement for organisations. The guide explains the biases that communicators need to understand and sets out the New Rules of Influence that should underpin any communications strategy. Arguments are never won, outcomes are: People seek out information that confirms what they already believe. This is called ‘motivated reasoning’ and it means that people will reject challenging arguments, even if they are supported by facts. To persuade people, you can’t tell them they’re wrong, you must deploy different strategies. 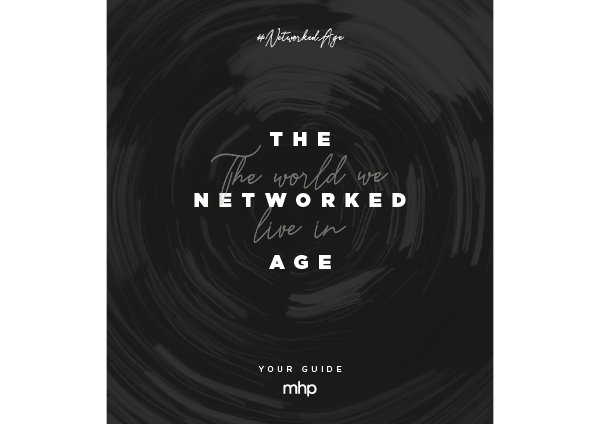 MHP launched the Networked Age research at an event in Westminster. 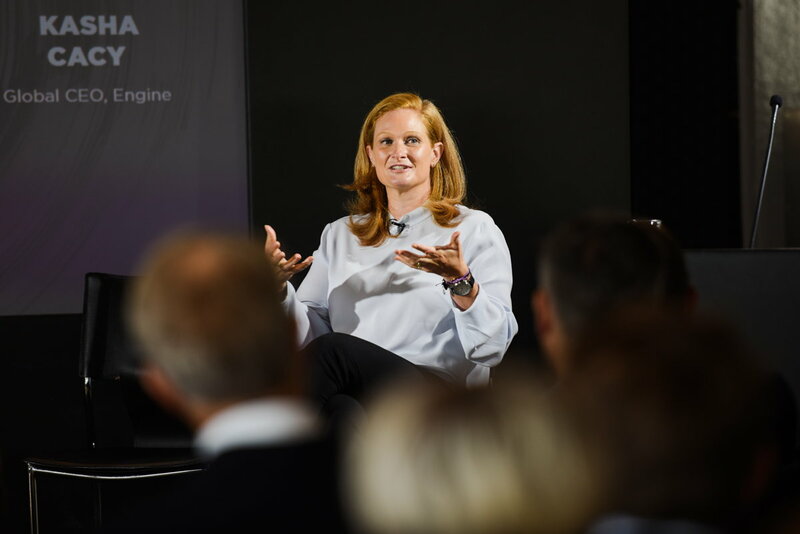 The panel comprised MHP deputy CEO Nick Barron, Dr Tali Sharot, author and journalist Tom Baldwin, Matthew Goodwin, Professor of Politics at The University of Kent and the newly appointed Global CEO of the Engine Group Kasha Cacy. 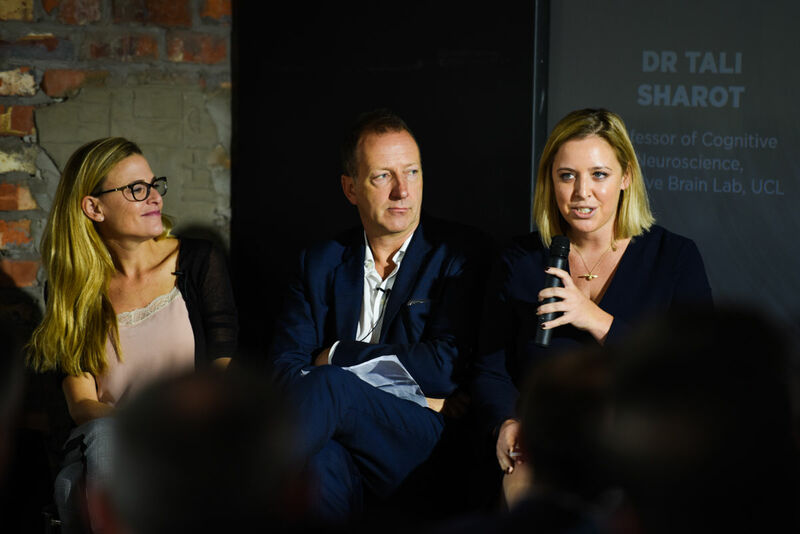 The panel discussion was chaired by MHP’s head of health communications Kate Pogson. Also on the panel was Engine Global CEO Kasha Cacy. She said the New Rules of The Networked Age apply in all marketing and communications work throughout the world. 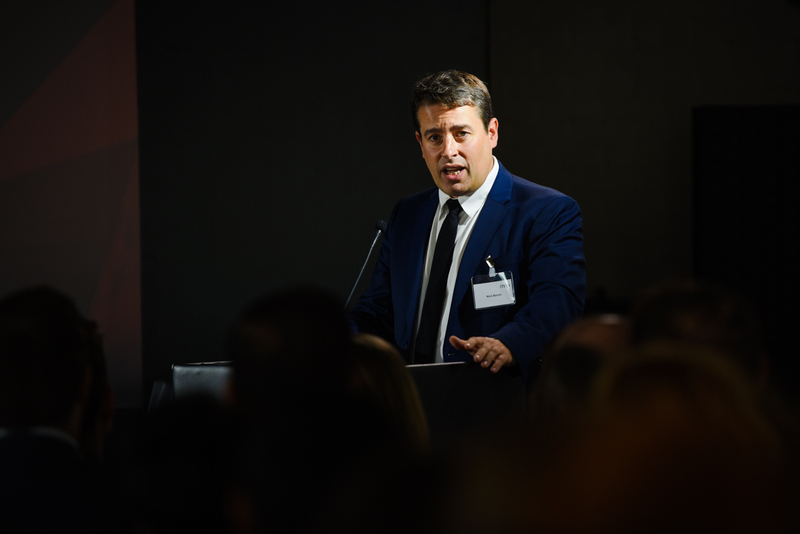 Author and journalist Tom Baldwin, who leads the People’s Vote campaign for a second EU referendum explains why the rules of The Networked Age are a reminder that who you are is just as important as the message that you are trying to share. 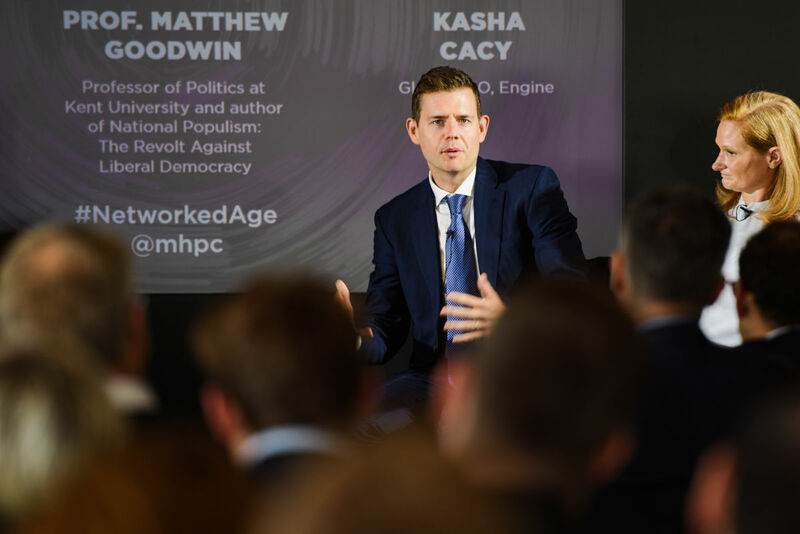 Prof Matthew Goodwin, of the University of Kent politics department, told guests at The Networked Age launch event that contrary to popular view, many young people are increasingly closed to the liberal internationalist agenda because they have grown up exposed to messages which often go unchallenged.